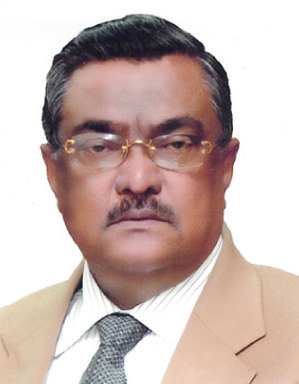 The single most important resource for Bangladesh is undoubtedly its Human Resources. It gives me immense pleasure to know that Greenland Overseas has achieves the highest degree of perfections and skill in the field of Manpower Recruitment. In the context of experience and sincere Effort they have proved themselves to be the best in the industry. They have established their reputation through professionalism, Strong Ethics, and Hard work. Greenland Overseas has been of the leading Recruiting Agencies in Bangladesh for recruiting both skilled & un-skilled manpower as per the demand of the international clients for science last three decades. I feel enormously elated to know about their achievement in getting the award of the "Sonar Manus-2009" in “Remittance Utshab” for being the best "Recruiting Agent" in Bangladesh. I'm extremely delighted to know that they process an ISO Standard Training Center which has also recently been awarded as the "Best Skill Development Institute" in the first "NRB Manpower Development Opportunities Conference-2009" held in Dhaka. I wish Greenland Overseas all its success. This is to certify that Greenland Overseas, 1 Gulshan Avenue, Gulshan-1, Dhaka 1212, is a well reputed manpower recruiting agency in Bangladesh duly approved by the government. The agency acquired a good professional experience and skill in the field of Manpower Recruitment in the context of quality and the volume of business. Greenland Overseas has established reputation through their dedication in this business. They possess a recruiting centre in Dhaka and a training centre having all the modern facilities and equipment. This agency is engaged in recruitment of skilled manpower as per requirement of the employees with their utmost satisfaction. We wish Greenland Overseas all its success & prosperity.